A two-thousand-year-old prophecy lingers at the threshold of fulfillment. Sworn to slaughter anyone they suspect could fulfill it, the Leoni family has nearly succeeded in wiping out the family they consider their greatest threat. 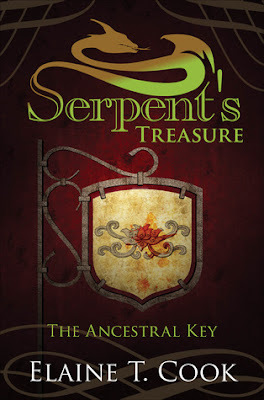 Meanwhile, Nicolai Cavallo, eccentric heir to the vast Cavallo fortune, has hunted his entire life for his family’s long-lost treasure and is positive his search is paying off when he stumbles across what he believes is the missing key to his encoded map. 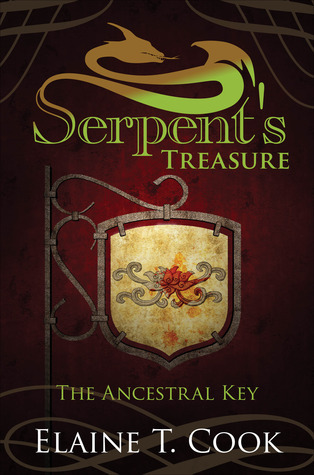 In Serpent’s Treasure: The Ancestral Key a race against time begins when the computer system designed to help solve Nick’s family riddles is hacked. Elaine T. Cook expertly weaves this thrilling narrative of betrayal and daring. Nick must relocate the system’s unwilling programmer, Juliana Matthews, and convince her to aid him once more. Even so, can she fix the system before the Leonis learn Nick is attempting to fulfill the prophecy or, more importantly, before they discover he has found the key to do so? Wow! Within the first few chapters of reading this book I thought it was a mix of Romeo and Juliet (without the tragedy) and The Divinci Code. By the end of the book I added Indiana Jones adventures to the mix. What a fun book to read. It had everything you want, adventure, romance, and a bit of fantasy mixed in. Reading this book was a breath of fresh air. It’s not a YA book, which was nice because none of the drama and erratic behaviors from characters are present. That being said, the book can be enjoyed by young and old. The characters were well developed and easy to like, or hate in some cases. The story is also well developed with bits of excitement and adventure tucked in. The romance is clean and exciting at the same time. I have been immersed in the world that Elaine T. Cook has presented and I am hooked! I am eagerly awaiting the release of book two. Great review, the book sounds really good! I'm adding it to my TBR list! !